For Cadillac salesmen, being in the Cadillac Crest Club was the ultimate achievement. You received a diamond in your ring for every year you were in the Crest Club. When back in Rossford Ohio for class reunion in 2009, Alex met _________________ at Taylor Cadillac in Toledo Ohio. Alex and _____ had both achieved the honor of 16 years in the Cadillac Crest Club and 16 diamonds in their rings. 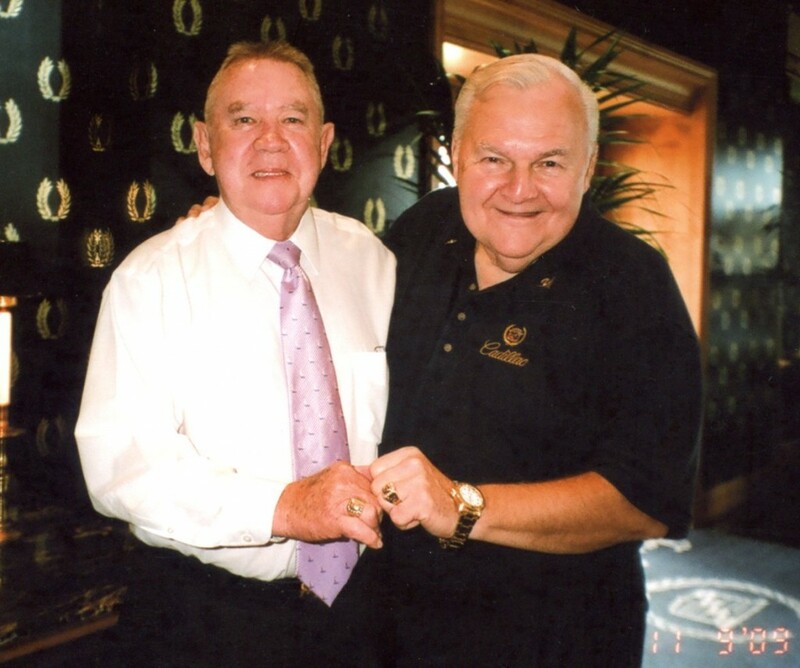 Alex is a photo historian so had to have a photo of these two Cadillac men and their rings. It is rare to see the Crest Club ring with so many diamonds so you know who ever is wearing it achieved much success.